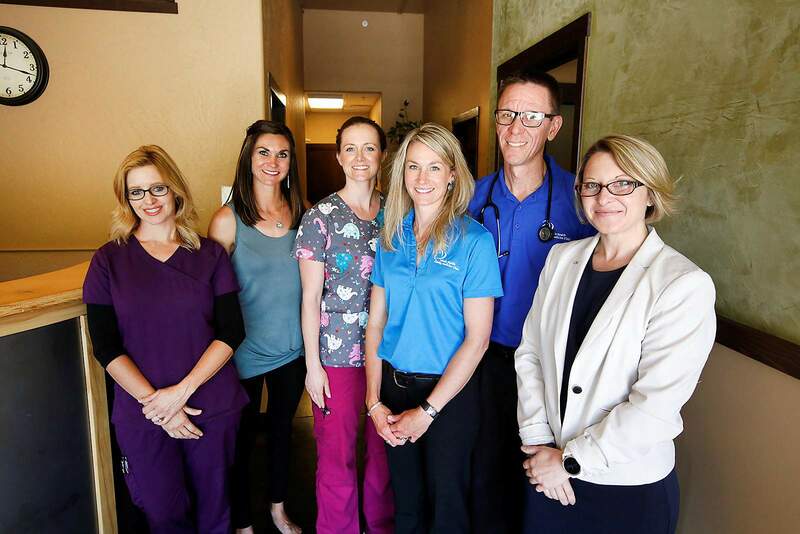 Physicians assistant Karassa Schaefer and Dr. Dan Schaefer, both of Whole Health Family Medicine at 555 Rivergate Lane, will offer direct-primary care services for a new health insurance offering that will be open to small businesses in La Plata County. Staff of Whole Health Family Medicine from left, Windy Crow, medical assistant; Jori White, office manager; Lacy Prokop, medical assistant; Karassa Schaefer, physicians assistant; Dr. Dan Schaefer, and Erin Patla with Aflac at the Whole Health Family Medicine at 555 Rivergate Lane on Wednesday. Whole Health Family Medicine at 555 Rivergate Lane on Wednesday. Like many small-business owners, Laurie Sigillito struggled to provide a health care option for her nine employees at FastSigns. 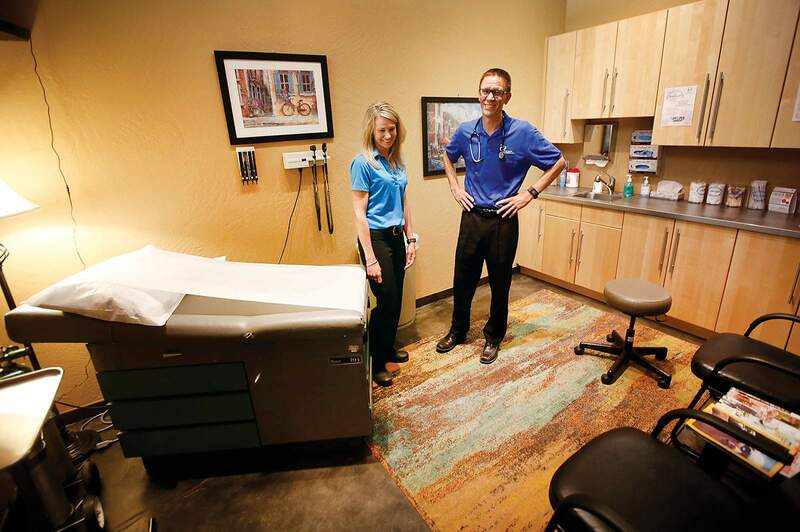 After searching for alternatives beyond major medical plans, which were prohibitively expensive for a business of nine employees, she discovered direct primary care and the Whole Health Family Medicine Clinic run by Dr. Dan Schaefer and his wife, Karassa Yeomans Schaefer, who serves as physician assistant. “We already had Aflac. We wanted to do something in addition to that, and we looked for an alternative that’s not what’s typically available today,” Sigillito said. FastSigns employees talked to employees at Durango TV, another firm owned by Sigillito. Durango TV was an early adopter of direct primary care – with employees paying $50 per month to Whole Health Family Medicine. Employees can pay another $50 a month to cover their spouse and $10 a month per child. The plan doesn’t cover visits to specialists, hospital costs or other catastrophic health costs covered by major medical insurance, but with the addition of Aflac supplemental plans that can be customized to meet the unique health needs of individual employees, the model provides a health care option for basic needs that had previously been beyond the ability of the small firm. “The employees love it,” Sigillito said. Now, the La Plata County Economic Development Alliance is working with Whole Health Family Medicine and Aflac to provide the model of basic, primary care combined with Aflac supplemental plans to small businesses, beginning with small manufacturers in the county and eventually expanding to businesses in other industries. Roger Zalneraitis, executive director of the La Plata County Economic Development Alliance, said the Western Slope has among the highest health insurance premiums in the country. “Whenever we hear problems from business,” he said, “the first thing that comes up is health care. While the initial target is small manufacturers, Zalneraitis said there’s no reason the model wouldn’t work for other small businesses and nonprofit organizations with five to a dozen or so employees. Schaefer said he can typically offer same-day or next-day appointments, and the $50 per-month fee covers such things as physicals and minor procedures such as wound treatment and wart removal. The fee also covers other services provided by a primary care physician, such as women’s health, wellness visits and preventative care, among other basic medical services. The fee also covers in-house laboratory services and comes with access to a wholesale pharmacy. In addition, it provides unrestricted doctor visits, no additional fees for visits and no co-pays, co-insurance or deductibles. “If you separate routing care from catastrophic care, you can begin to make it affordable. A family doctor can provide routine medical services for $50 per month,” Schaefer said. From discussions among small-business owners in La Plata County, Schaefer said he’s convinced they want to provide the best medical benefits they can to employees, but they struggle to find anything that will work for their smaller-scale operations. “The cost of major medical is exorbitant. It can run as much as $1,000 a month per employee,” he said. The service aims to be transparent in pricing with a goal to improve and maximize basic health care and provide preventative health, Schaefer said. Erin Patla, an Aflac independent benefits adviser, said the addition of the firm’s supplemental insurance complements direct primary care with a suite of plans to offer financial assistance when medical issues go beyond the services offered by a primary care physician. Separate supplemental plans from Aflac cover a variety of medical needs, such as accidents, hospitalization, cancer, critical illness, vision and dental not covered by a primary care physician. “We meet with every single employee. We want to provide each employee with the plan suite that is right for them,” Patla said. 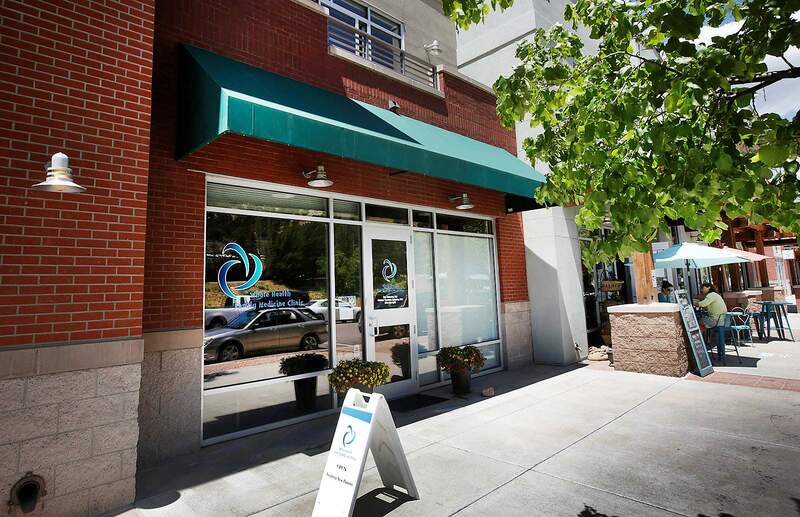 The plan organized by La Plata County Economic Development Alliance provides tax benefits similar to traditional health insurance, with payments coming from pre-tax income to lower both employees’ and employers’ tax bills. Aflac also offers a cash benefit for a wellness check, which typically equals about a one-month average benefit cost for an Aflac plan-holder. Patla said the average bill for an employee covered by Aflac plans is about $50, but prices range widely depending on the number of plans an employee purchases. The Aflac policies would be added to the $50 per-month employee cost for direct primary care. “It really now makes it cost-effective for a small business to offer some health coverage,” Patla said.